Parents Apart Co-Parenting Together is a four-hour educational seminar that provides an opportunity to view change from the eyes of a child. The primary goal of the class is to increase parental understanding of the effects conflict can have on children and empower parents to work together collaboratively in the best interest of their children. The class meets the legal requirements for VA CODE 16.1-278.15 and 20-103 court-ordered educational seminar. ** IN THE EVENT YOUR COURT DATE IS BEFORE THE NEXT AVAILABLE CLASS THE AGENCY CAN PROVIDE YOU WITH CONFIRMATION OF REGISTRATION FOR THE COURT FOLLOWING RECEIPT OF PAYMENT. Classes are held at 5610 Southpoint Center Blvd, Suite 103 Fredericksburg VA 22407. Classes are $50.00 per individual. This fee is non-refundable. We do not provide child care. 1.) Complete the information below. All fields are required. which can be paid by credit card. 5.) Certificates will be provided upon completion of the class. Receipt of payment confirms your space in the class. In the event your court date is before the next available class the agency can provide you with confirmation of registration for the court Please note the fee is non-refundable. 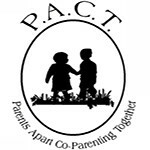 How did you learn about the co-parenting education class at Family Solutions?